Congratulations to Mehwish Zamikhan, our 2018 KYTESOL Scholarship winner! Since 2009, KYTESOL has been offering yearly scholarships based on the availability of funds to ESL/LEP students who are graduating from a Kentucky high school and have been accepted into a two- or four-year post-secondary institution in Kentucky. We are pleased to announce that Mehwish Zamikhan, graduate of Iroquois High School, JCPS, Louisville has been awarded our 2018 KYTESOL Scholarship. Mehwish grew up in Pakistan where she lived with her grandmother for most of her young life. Her parents were not able to see her caused by restrictions imposed by the Taliban. Then in 2012, Taliban members came to her area to prohibit and prevent girls from attending schools and force them to get married. At that time in a school nearby, the Nobel Prize winner Malala was shot in the head by a Taliban gunman. 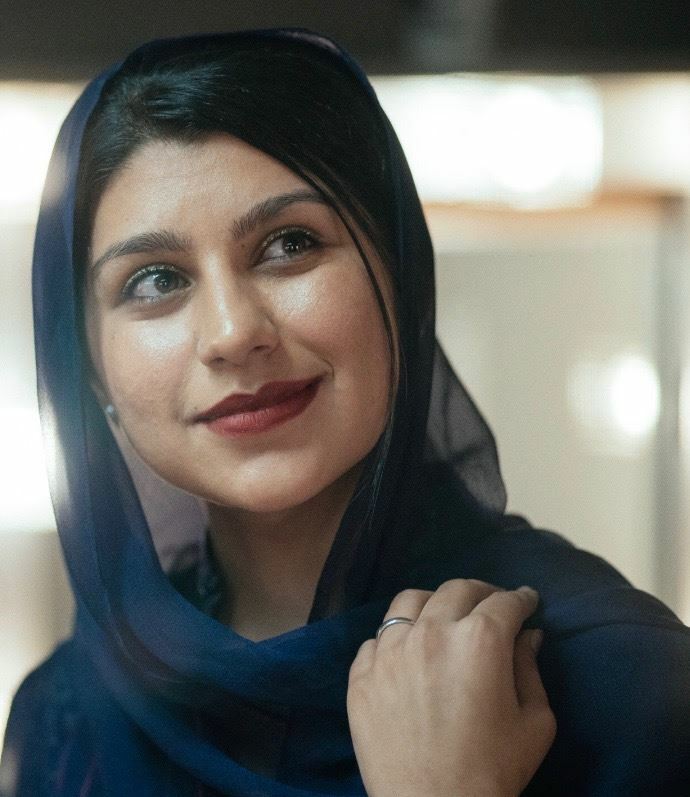 Fearing for her life, Mehwish undertook a harrowing escape through a Taliban controlled area to gain freedom and the opportunity to continue her education. In 2014, Mehwish and her family arrived in the US, where she attended Iroquois High School in Louisville. She was actively enrolled in different clubs and activities at school and became the president of the student council. Furthermore, she was also elected to be the senior class president. During the 2017-2018 school year, Mehwish was chosen to participate as a young author in the Louisville Story Program, in which she and a few other writers have been developing a book about their lives and their communities. Being the oldest of four children, she assists her parents in taking care of them at home and as the only driver in the family, she also drives her parents and siblings to appointments, shopping, sports games, and other places. Mehwesh is enrolled for the fall semester at the University of Louisville where she is starting her journey as a pre-med student. We wish this bright, courageous, and dedicated student the best for her future. Steve Chen, graduate of Elizabethtown High School, was awarded our 2017 KYTESOL Scholarship. While attending EHS, Steve was involved in the Student Council, Beta Club, Service Club, Future Business Leaders of America, Future Farmers of America, the Redhawk Rangers, and the Math Club. Furthermore, he completed many service hours at his school, at soup kitchens, homeless shelters, nursing homes, and animal shelters. In addition, this students was also enrolled in a co-op program. Furthermore, he spent many hours at his family’s restaurant assisting his immigrant parents from China. Steve has received excellent recommendations because he is a dedicated, hard-working student and a well-rounded, ambitious, and enjoyable person. He is currently enrolled at Western Kentucky University where he plans on earning a Bachelor’s degree in Civil Engineering with focus on public health. He would like to be involved in designing health policies and procedures which could help people from becoming sick or injured. We are extending our congratulations to Steve Chen and wish him the best in his endeavors. As a Bhutanese refugee, Dhan lived in a camp for many years under terrible circumstances. Her harsh experiences and the misery she witnessed inspired in her the desire to help others. Already before the arrived in the United States about three years ago she was involved in different volunteer activities to help refugees. Her long-term goal is to pursue a career in nursing and to eventually return to Nepal to help the people there. Dhan is very appreciative and feels very lucky having been able to come to the United States. 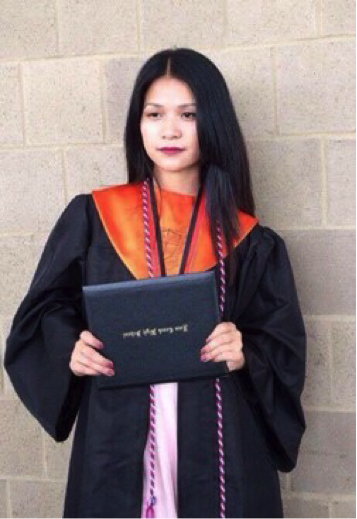 We wish her the best in her efforts and a successful course of studies at the Jefferson County Community and Technical College where she plans to get her Associate degree before transferring to the University of Louisville to obtain a Bachelor of Science in nursing. It has only been two years that Ly has moved with her family from Vietnam to the United States. Her parents did not have the opportunity to attend school and always had to work hard to help the family survive. Ly wants to fulfill her family's dream of getting a good education and also her own aspirations of assisting others by getting a BS in Nursing from the University of Louisville. 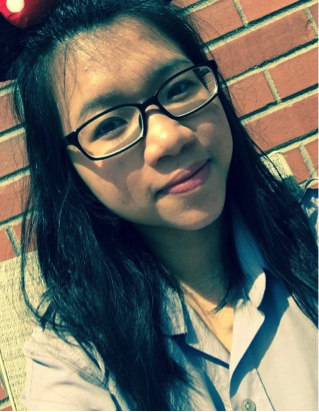 She is a well-rounded and self-motivated student with many talents and is also involved in community activities. She will always try as hard as she can to succeed by following this Vietnamese saying: "Learning is like a boat sailing upstream; unless it is moving forward, it will move backward." We wish Ly the best in her efforts. Loc moved to the U.S. from Vietnam about three years ago together with her mother and her sister. She was determined to learn English as fast as possible through different means. One of her previous high school teachers describes her as having “a loveliness about her that encompasses grace, a quick wit, and a sharp intellect.” Loc plans to become a licensed dental hygienist and has already volunteered as an intern at a dental office. She would like to help people and educate patients about taking care of their teeth. Loc is currently enrolled at a Community and Technical College and later plans to transfer to the University of Louisville. As a refugee from Burma, Denis fled with his family to Malaysia to escape the persecution of their ethnic group and finally came to the U.S. in 2010. At the high school level, he was involved in many clubs and participated in different activities. As a Governor’s Scholar, Denis had the opportunity to provide varied community service. He also enjoys translating for other Burmese refugees. His high school chose him as this year’s Salutatorian. Denis plans to study at the University of Louisville with a major in Biology and hopes to eventually become a doctor so he can continue to help others. Congratulations to our 2014 scholarship recipient, Janice Valesco-Garcia. Janice is originally from Mexico and was enrolled in the American school system during her elementary school years, where she received ESL support for several years. She is the first one on both sides of her family to finish high school with plans to graduate from a college in order to pursue a stable career. Janice has persevered through many hardships and adverse experiences. Already at the age of 13 she had to work to support her family. According to her teachers, she is full of potential, compassion, and motivation to succeed. She is a spiritual and unique person with a pleasant personality who is always smiling, giving great compliments, and ready to make someone laugh. Currently, Janice remains enrolled at the Opportunity Middle College (OMC), which is a small program in the Fayette County School System, where students have the opportunity to take college classes while still enrolled in high school. This is the second year that this student is enrolled at the Bluegrass Community and Technical College. 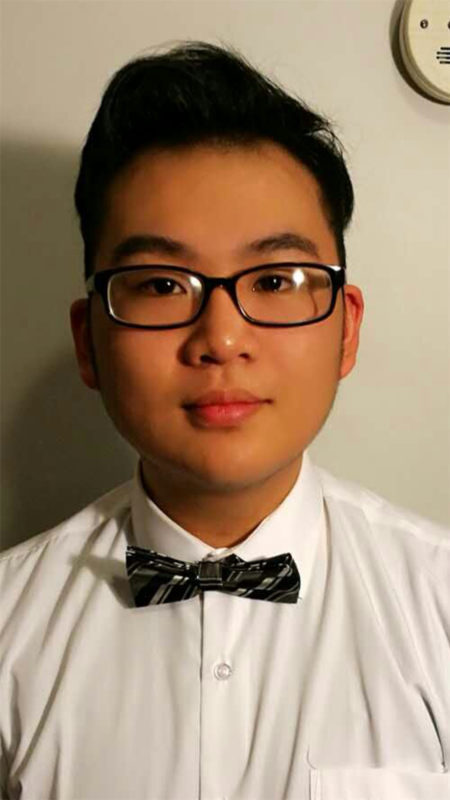 The ESL Student Scholarship Recipient for 2013 is Paw Wah, who graduated from Central High School in Louisville. She grew up in a small refugee camp in Thailand under challenging circumstances and with little education. After her family settled in Louisville, Paw, whose native language is Karen, enrolled in the ESL Newcomer Academy. Early on, she excelled in her studies and, after her transfer to Central H.S., Paw continued holding a very high GPA. While enrolled in the school's nursing magnet program, she was also a member of the National Honor Society, the BETA Club, the national HOSA (Health Occupations Students of America), and played in the school’s band. Paw’s goal is to become a nurse and is very involved with her church and their youth group. This year's winner is SAMUEL RAMIREZ , a JCPS student who graduated from Western High School and who came to Louisville from Honduras, Central America. Congratulations, Obieda, on being this year's winner of our scholarship!!! We are proud to announce that Christel Broady is the recipient of the ESL Recognition Award for her project, Redefining the Role of ESL Professionals in Schools to Better Serve Immigrant Children and Families. In the next five years, five cohorts of classroom teachers will be trained as teacher leaders in the area of ESL. Their role is that of a role model for other classroom teachers. The teachers will conduct training for colleagues. They will also aid Georgetown College’s initial teacher program to infuse ESL content knowledge in all undergraduate training for all areas and disciplines. Georgetown College’s professors teaching methods courses will receive training in ESL to implement into their syllabi. Teacher Participants will accept undergraduate pre-service teachers for observations, practicum, and student teaching. The teachers will also create video productions in their classroom of best practice. The videos will then be published on the web for the entire state. Janet Yaeger, the Warren County ESL Consultant, is the winner of our 2005 KYTESOL ESL Award for her project Language and Literacy Center for Students in Grades 4 - 12 in the Warren County Public Schools. The main purpose of her project, which is in its third year, is to provide homework assistance to students. Two nights a week the center is open to families as well. Students' progress is monitored on an ongoing basis. A summer program is also offered. We congratulate the recipient of the ESL Award 2004, Rosie Maum, Adult ESL Resource Teacher, Jefferson County Public Schools. Rosie received her award during the KYTESOL Fall Conference in Lexington on Oct. 23 in recognition of her contribution to Project PRIDE: A Program for At-risk LEP Youth. Congratulations to the recipient of the ESL Award 2003: Maurice F. White, ESOL Professional Development Specialist at Morehead State University. Maurice received this award during the KYTESOL business luncheon on Nov. 15th in Louisville for his outstanding adult ESL professional development training. KYTESOL offers every year a college scholarship to eligible Kentucky ESL/LEP students. For specific information about the scholarship eligibility and criteria, click here. To apply for the award, go to the: 2019 KYTESOL Scholarship Application The deadline has been extended until April 15, 2019. TESOL offers a variety of awards to its members. Click on TESOL to find out about this year's opportunities. Do you need help with travel expenses to attend a TESOL Academy or the next TESOL convention? Click here to learn how to apply for TESOL funds.